Halloween’s Toxic Terror & How to Survive it!! Welcome to Horse Feathers Training & Riding Academy! Premier equine facility on the Monterey Peninsula offering the best in boarding, training and sales. We welcome all healthy breeds and offer a friendly, clean and safe home for all of your boarding, training, lessons and sale needs. Meet Loly Pop the wonder horse the mini horse. Home of The Sundance Kid APHA & AQHA Sorrel Overo World Class Stallion. My name is Jamie Kennedy and I can’t remember a time when horses were not the focal point of my life. For me, horses are not just a job or a hobby, they are a passion. I have always known what I wanted to be when I grew up…a horse trainer! I truly do what I love and love what I do. The only thing I enjoy doing as much as horse training is sharing my knowledge of horses with other horse lovers. Let’s ride! 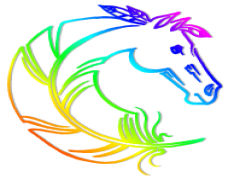 I offer a wide array of activites and services: Horse Training – All Breeds Welcome, Riding Lessons, Boarding, and so much more. I am now accepting students & horses. Be sure to contact me today to reserve your spot! Do you find yourself thinking about your kids at all hours of the night? Are they on the screen too much? Are they eating enough healthy foods? Why are they always sick? Do they have good friends? What does their education look like? Thinking about homeschooling? What am I doing? Am I doing enough? Am I a good mom? Confused, stressed, experiencing physical pain, and lack of sleep while raising your kids? 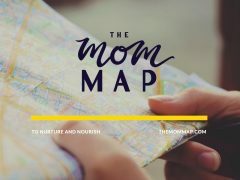 Are you feeling overwhelmed in motherhood because there is so much information out there you don’t know who to trust? Trust me. I’m Sheila, and I want to meet you in the messy part of motherhood and remind you that you ARE enough. I am here to alleviate that stress and worry and provide a plan so that you can: Get healthy meal planning done while using food as medicine. Take care of your kids so you don’t have to go to the doctor for everything. Be confident that you have energy to keep up with your kids because your needs are being met. Create the family culture that you have always dreamed of. Know what the best education for your child is. Have fun while being an awesome mom!!! 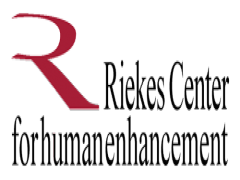 The Riekes Center exists for the enhancement of the individual student. 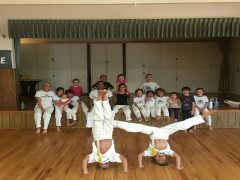 Our mission is to provide each student with the best possible opportunity to define and accomplish individual goals, build character and learn transferable life skills through Creative Arts, Athletic Fitness and Nature Awareness, in an environment of non-judgment and mutual respect. We provide these opportunities regardless of the student’s ability to pay, or ability to perform. Each person’s uniqueness and potential is celebrated. The Riekes Center thrives on providing transformational outcomes for our students. At the Riekes Center, all students, all goals, and all interests are equally important. It’s a place where real world diversity thrives and empathy is encouraged. The Core Values of Self Supervision, Honest Communication and Sensitivity to Others are the Center’s operational and social standards.